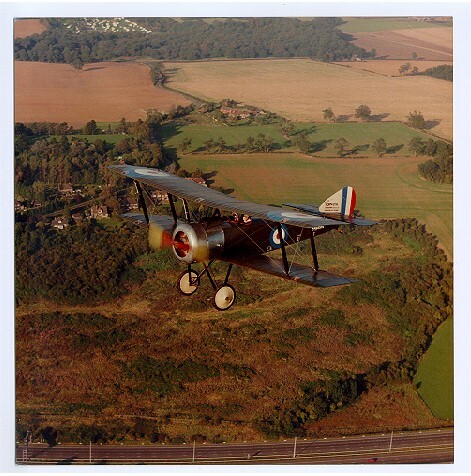 This Sopwith Pup RNAS N5195 - G ABOX was flown by Michael Peare. Here it is just north west of Godstone besides the M25. This aeroplane was restored by Desmond St Cyrien in England and has a genuine Le Rhone rotary engine of 80hp. The aeroplane now resides in the Museum of Army Flying at Middle Wallop in England. Downloadable pictures of the Pup in action. This Biplane WebRing site is owned by Michael Peare.